Well that was a god awful weekend for Bellator. Really TNAing it up here. AAA’s TripleMania press conference today delivered on a promised big surprise. UFC’s Cain Velasquez appears to sign a joint contract with AAA & TV Azteca and announce be on TripleMania. AAA did not announce a specific match and left enough room that they might be able to get out of it, but everyone left the press conference with the idea Velasquez would be wrestling on AAA’s biggest show of the year. Texano Jr., Psycho Clown, and Pentagon Jr. all interrupted the end of the press conference to each challenge Velasquez over his February comments calling lucha libre fake. 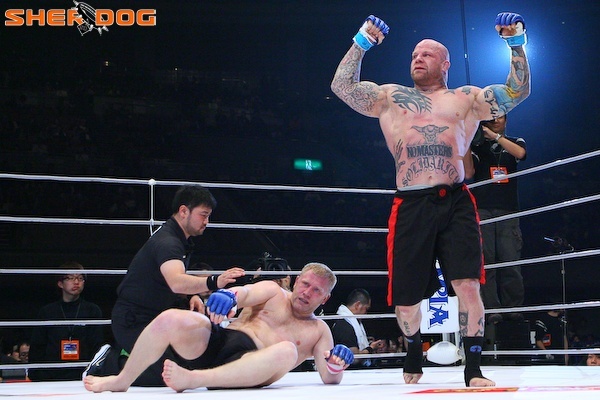 AAA teased that one of them would be the opponent, though Penta also threw out the idea of a 2v2 tag match. There was no mention of how or when the opponent would be decided. Wrestling Observer’s story about Velasquez states that Cain’s comments negative about lucha libre part of an angle intended to lead to this point. It did not come as a storyline at a time and they did a good job of it if this was the plan all along. The announcement of Velasquez appearing on TripleMania has gotten a lot of press for the event already. (A lot more than the AEW bit, obviously, though they’re targetting a different audience with each.) It may end up weird – it is AAA, it would be weird if they weren’t werid – but it seems like a success on day 1. Even beyond ticket selling: AAA want to be known as the important wrestling promotion in Mexico and one of the most important ones in the world and this sort of stunt helps get them there. TV Azteca also announced TripleMania would air live on Azteca 7. The joint nature of the contract indicates Azteca is footing the bill for at least some of this, and this would probably not be happening if AAA had stuck with Televisa. Jesus Zuniga ended the press conference by mentioning AAA would be seen on all their various platforms; if you’ve watched it on Twitch, you’ll probably still be able to see it on Twitch. It is unclear how UFC feels about all of this. Cain acknowledged he was still under contract to UFC between “2-3” more fights. UFC has an inconsistent policy about letting people under contract participate in professional wrestling, and it may be dependent on what Cain’s actual role is. 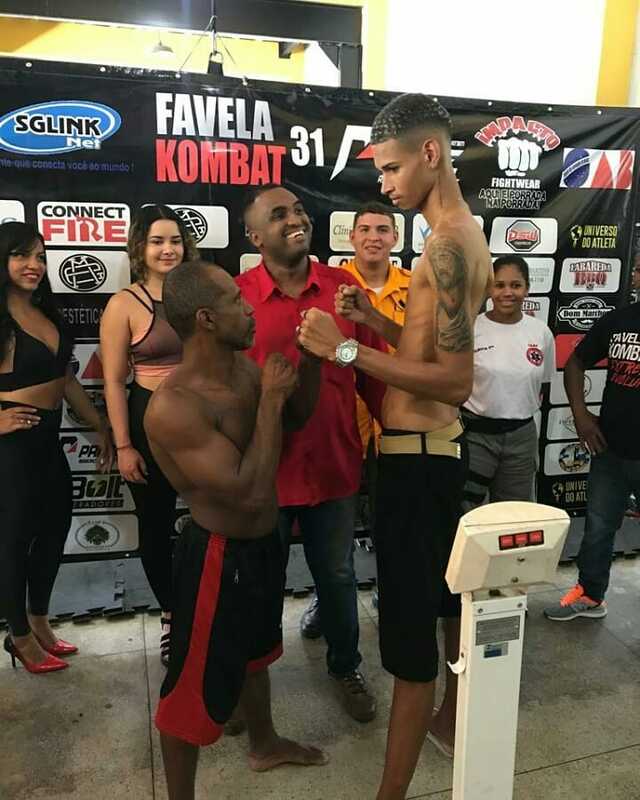 His opponent was 43 year old Celso Mao de Pedra, who stands 5'4"
Even the internet pirates slept on this Rizin card. Only stream I can find has some chinese dude in the corner of the picture offering his own commentary. Can't hear the fight audio. 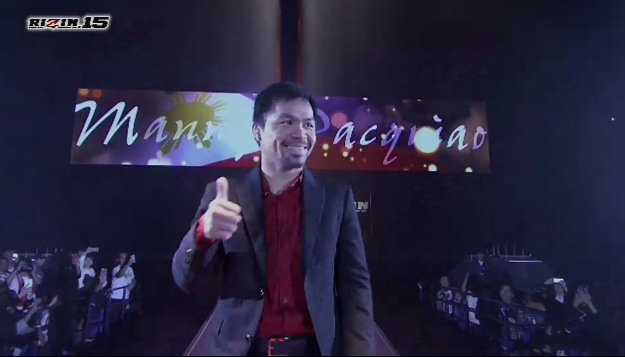 Pacquiao walking out to the ring!